Diary of A Layman #32 (Fall): Was 2012 An Epic Fail? 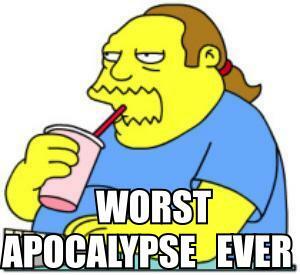 As skeptics, atheists, and agnostics gleefully like to point out, people have been predicting the end of the world since the beginning of recorded history and probably much longer. The reason is because for most people, life is hard, the world seems unfair, and a lot of us would like to see a major change which we presume would benefit the good, hardworking people, that we take ourselves to be. To paraphrase a friend who wrote to me back in January 2013, our government seems as corrupt as ever, corporations are just as greedy, and the masses are still shallow, entitled, and fairly unconscious. Add to this the dreadful economy, our crumbling infrastructure, the disappearing middle class and the widening gap between the have and have-nots and you have the correct zeitgeist for a world wishing for an end to how things are. While even in my lifetime I’ve heard quite a few end-times and world-cataclysm rants before, this time, something seemed different. The predictions seemed to correlate from so many different cultures and time periods. And the end-times date had become so well known, it was already a cliché. At the very least, with so many people believing that something was going to happen on December 21, 2012, wouldn’t that at least bring about a self-fulfilling prophecy? And yet, the day came and went without so much as even a chicken nugget shaped like Jesus Christ. It’s been over a year since the great day of nothing, and many of us are left wondering, “What now?” So, is this it? Life is just going to be a constant struggle with things continuing to get worse and worse for the average person…with no hope of anything changing? I agree that life gets harder. I think the reason is because most of us get stronger as we get older and so it takes more and more to challenge us so that we can grow. The same is true for society as a whole. In the days of ancient Egypt, a drought almost brought the entire civilization to an end. 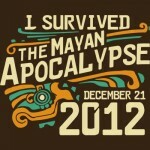 Today, it wouldn’t affect us that much. But our climate challenges now are on a much more global scale and do affect us. Even though the challenge is far greater, because we are now stronger the level of difficulty is the same—a bit more than we are equipped to handle. Still, it is up to us to decide whether we suffer from these challenges or use them to grow. As we grow there is less and less that can take us out. So there is hope that things will be changing. At the very least, we are. In fact, it seems to be a rule of our world that the only constant is change, that change always seems to get increasingly harder, and things that are harder either kill us or make us stronger. For the most part, humanity has gotten stronger from our constant barrage of challenges. So instead of seeing the future as a place where things will only get worse, we have the choice to see it as a place where we’ll all be stronger and more evolved. In addition, I think that humanity has overall become more tolerant, enlightened, understanding, open, educated, and forgiving, and less violent, aggressive, and selfish. And I see no reason for that trend to discontinue. Have we also become more egotistical, shallow, lazy, materialistic, rushed, and frazzled? Probably, but I expect that all those traits are a result of temporary growing pains and will eventually lessen with time. Another thing we’ve become is impatient, and unfortunately, we may not live to see the aforementioned personality changes let alone the great enlightenment that 2012 promised. While I too had hoped for some kind of massive event or sign that would force us to grow, my happiness wasn’t contingent on something occurring on that day, or any day for that matter. I do my best not to have expectations about anything since, if there’s anything that life has taught me, things rarely work out like you think they will. In this case, the massive, sweeping change that many had expected has seemingly brought us something else. Something that is difficult for many to see because we’re too close to see it: the slow transition into a new age. Much like entering a new level of a video game, entering a new age isn’t necessarily immediately apparent. There may be little changes going on that most of us aren’t noticing because they are happening very slowly. One of these changes is how time seems to be gradually speeding up. I had predicted that time would feel incredibly fast the week leading up to 2012 and for me, it did, and has continued to feel even faster ever since, which I did not predict. I thought it was going to begin slowing down after reaching a peak that we apparently haven’t hit yet. Since time is an illusion, it could be speeding towards one eternal moment, which is the true reality. Once there, we could begin to learn to have experiences in the various dimensions of space, but all during one moment. The fact that this is hard for us to comprehend is probably why it hasn’t happened yet. But once you live it, it would probably be easy to understand. Try explaining a multi-player online game to someone just a couple hundred years ago. Or even fifty years ago. Or even, your parents. If you aren’t feeling time speeding up or just equate it to growing older, there still may be other aspects of your life since December 21, 2012 where you’ve noticed strange happenings. Take dreams for example. On Dec 22, 2012, I had a dream where I saw myself as a child walking with my parents in the 1970s. This was very usual for me since I can’t recall ever having a dream that’s taken place in my past. I approached my parents in the dream and told them I was their son from the future. I then took out my business cards that feature photos from when I was a kid (this is true in my waking life) to prove it. When I awoke, I called my dad and asked if he ever had an experience—in a dream or real life back when I was little—where someone had approached him claiming to be me from the future. He didn’t recall but said he rarely remembers his dreams, so who knows? I could’ve traveled back and connected with his dream from 30-something years ago! An even more bizarre incident happened in January of 2013. I’d woken up early and wasn’t sure if my alarm had gone off yet or not. I didn’t feel like putting on my glasses to check the clock but recalled that the alarm had gone off because I remembered The Police’s “Every Breath You Take” was playing on my clock alarm. So, I decided to go back to sleep, figuring that I must’ve hit snooze and the alarm would go off again in a few minutes. But I don’t think it did. It went off awhile later—and it was my initial alarm, set for 8:15am. And the song was The Police’s “Every Breath You Take.” Shivers. And all this was just a few weeks past the end times date. Since then, the experiences have become even more bizarre and the coincidences more serendipitous. Seeing shadowy figures out of the corner of my eye, my baby daughter’s mobile suddenly starting to play music by itself, the same number—108, continuing to pop up over and over again. 108 is a number considered sacred by many Eastern religions and it’s a multiple of 18, which gematrially represents “life” in Judaism. It’s also the combination of the sequence of mysterious numbers that always seemed to pop up on Lost. Despite the lack of cataclysms, messianic returns, or alien visitations, I believe that we are now in a new reality—one where the veil between our illusionary world and the real world is thinning. In reality, there is only one moment, we are all connected, and our thoughts directly influence our experience. And as our experience of time becomes quicker and quicker, our thoughts and the events they create will begin happening closer and closer to one another, until their connection is obvious. But again, despite our impatient collective consciousness, this could happen over a period of many years or longer. The Mayan k’atun, or time period, that we’ve just entered lasts about 20 years—until 2032— so we may have awhile yet to realize the full implications of this new time. 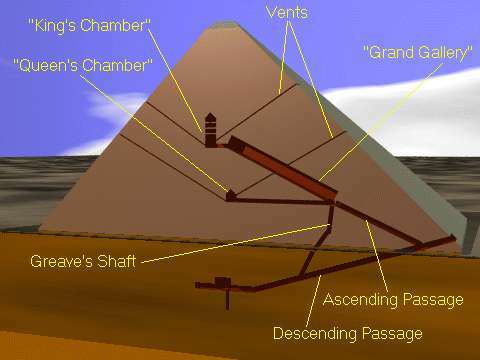 There are also many who believe that the Great Pyramid of Giza is actually a gigantic calendar, whose passages and chambers combine to form a prophecy of events to come. The various passages were constructed according to a chronological scale of a geometric inch to one year, so every inch you move represents one year forward. While considered a pseudo-science, this correlation between measurements and time has come to be known as pyramidology. And according to its findings, the final date symbolically depicted within the King’s Chamber of the Great Pyramid is 2033. So perhaps the period we’re in now, possibly beginning in 2012 or even earlier, is sort of a transitional period. One where we will slowly be introduced to this enlightened age with effects that won’t be fully apparent for another twenty years. I can hear the sarcasm of the skeptics now, “Sure, nothing happened in 2012, but that’s only because it was supposed to happen in 2033 all along…and when nothing happens then, you’ll just push it forward another 20 years.” But has nothing really happened? Hell, lower Manhattan was underwater right around this time. That was a pretty big deal even if you don’t live anywhere near NYC—hell, it shut down the stock market which affects the world economy. 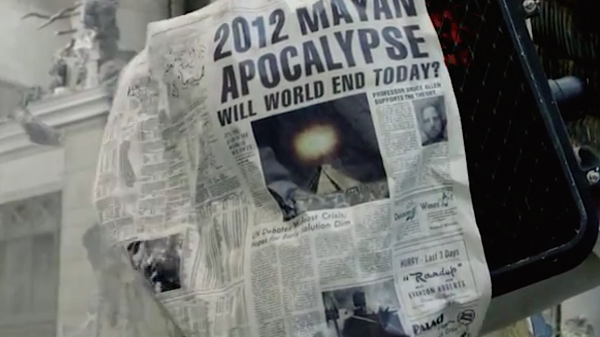 Hurricane Sandy crippled the tri-state area, and while it wasn’t anywhere near a catastrophe nearing doomsday proportions, I do think it holds clues about what our future may hold. And I’m not talking about clues about climate change. Some of the things I was hoping for on and around Dec 2012 were signs of things to come. I believe that these signs don’t come from God or spirit, but from ourselves. They are the energy signatures of our collective thoughts that bleed through time much like the loud parts of a song on a 90 minute cassette tape. (For those that aren’t old enough to know what I’m talking about, listen to Led Zeppelin’s “Whole Lotta Love” which owes its echoing middle-section to this effect.) Since I’ve already devoted an entire article to explaining this phenomenon, I’m not going to get into the mechanics here, but rather, the clues since there have been more since that article was posted. The current series of clues all began with the July 20, 2012 Century movie theater shooting in Aurora, CO during the Dark Knight Rises film. Was it just a coincidence that the theater was named “Century” and the town was Aurora? “Aurora” are the lights that appear above our world. This contrasts to Dark Knight. So the message is about the contrast or battle between light and dark, and “century” is a clue that the message correlates to a major time milestone. The battle between light and dark happens most notably on the solstices and equinoxes when the balance between these two forces change. Aurora is also the Roman goddess of the dawn, signifying that this message is about a new age. Put it together and the event is a message about the coming of a new age that begins during a major time milestone on a solstice or equinox, i.e., December 21, 2012. Just as conscious thoughts and emotions manifest as archetypes and symbols in our dreams, so too do the emotionally-charged messages from our future conscious minds appear to us in our illusionary present. After the Aurora shooting, we had a series of devastating events—a hurricane named Sandy (Oct, 2012), a shooting in Sandy Hook (Dec 2012), and a bombing in Watertown, MA (April, 2013). As I explained in more detail in the previously mentioned article, “Sandy” relates to “sand” or “earth.” It is a Greek name, meaning protector or defender of man. As explained in other articles, when the clues found in different movies or events share common links, it means they connect in some way. The Watertown bombing happened during the Boston Marathon, and marathons got their start in Greece. This connects to the two Sandy events. Can it connect to the Aurora shooting as well? Apart from the obvious connection of disillusioned youth violently attacking others, there is another, somewhat bizarre connection. The face that came to represent the Boston bombing was that of Dzhokhar A. Tsarnaev. Dzhokhar is pronounced Joh-kahr…or Joker—who James Eagan Holmes dressed up as before his shooting rampage. Much as with clue connections in movies that relate to a continuing message, such is the case here. These two seemingly unrelated incidents have a message that connects them. While some may think I’m really reaching with that connection there is an overall pattern that helps to solidify the link. 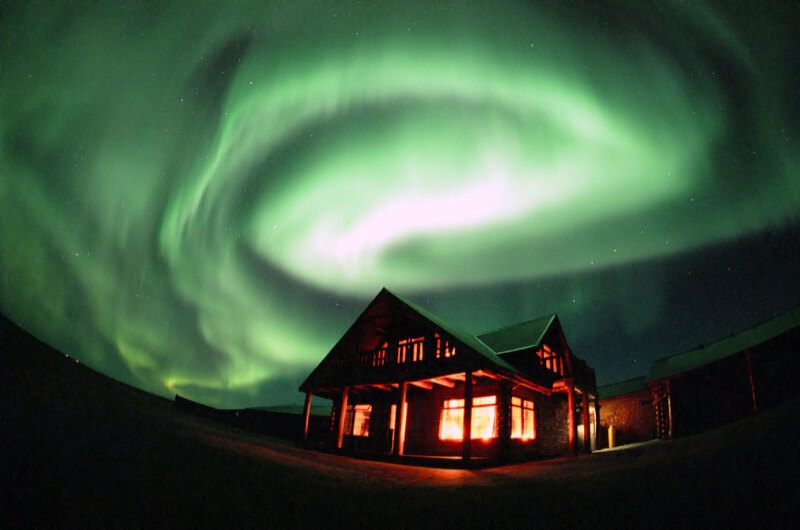 An aurora occurs when air molecules collide with charged particles from the sun (fire). So we have air and fire. And I mentioned that the root of Sandy is “sand” or “earth.” Before you get all excited that these clues are foretelling an Earth, Wind & Fire reunion, there’s one last clue: Watertown, MA. So we now have four events with various clues connecting them and links to the four elements: earth, air, fire, and water. I believe these elements are symbolically represented by the 4 horseman of the apocalypse. Our future selves are being so affected by events in these categories that our energies are sending messages that are carrying through time and manifesting symbolically in the town names of various disasters happening now, much like how our repressed thoughts show up symbolically in dreams. It’s one thing to make these crazy interpretations, quite another to make predictions from them. If I’m right, incidents and disasters in the near future should continue to directly connect to the names of the four elements through the names of towns and people, culminating in the event(s) that have been the impetus for the massive release of energy and emotion that has been sent through time to manifest now. Are we too close to see the changes that are already happening? Is December 2012 only the very beginning of what will be a longer period of drastic change? Or, is there another possibility: that December 21, 2012 was never meant to signify anything out of the ordinary whatsoever. 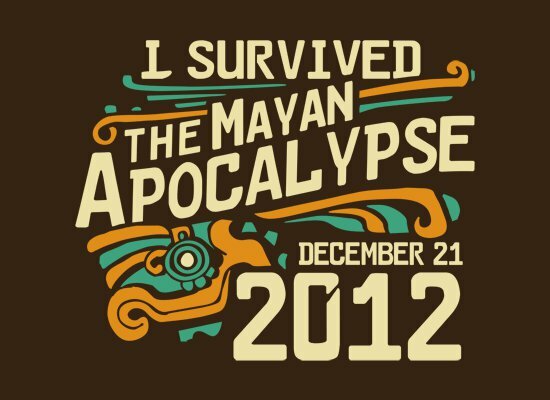 While there have been many predictions for earth changes that coincide with this time period, it really was the Mayan calendar end-date that specifically related to 12/21/12, and yet, the Mayans themselves never believed that the date would relate to the end of anything. For them, it was simply the resetting of a cycle, much like the resetting of a car’s odometer. You hit 999999 and one mile later hit 000000. Your car doesn’t know the difference apart from just traveling another mile. Even if the Mayan calendar did relate to some major new energy beaming our way Quetzalcoatlly in 2012, who’s to say that the calendar is legitimate? For all we know, that particular calendar could’ve been created by some Mayan madman who chiseled his prophetic beliefs into stone and spouted off about them to anyone who’d listen. 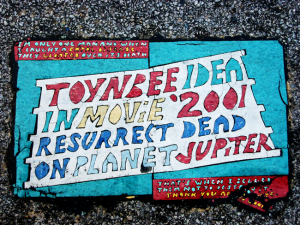 ON PLANET JUPITER.” No one’s quite sure exactly what they mean or who put them there. Most assume them to be the ranting of a madman or the work of a street artist. Either way, imagine if 1,000 years from now, aliens digging through what’s left of our civilization uncover them and interpret them to mean that in 2001 our society all left for Jupiter thinking that we could resurrect our loved ones there, but perished—or that the message was meant for them to follow. 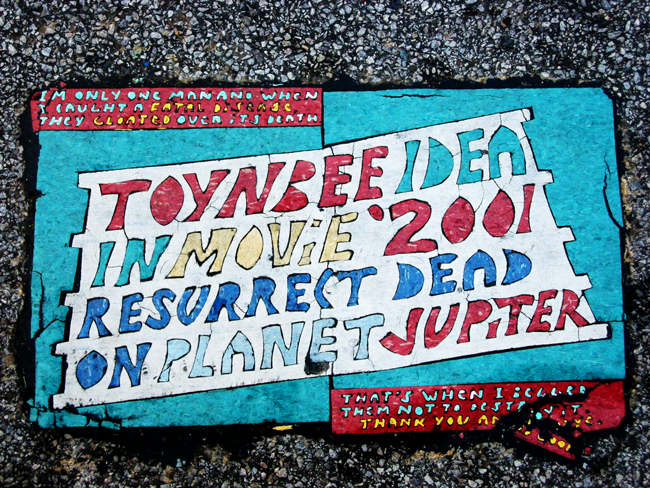 Much like the Mayan calendar, the tiles appear in many places throughout the Americas, they’re written on a substance meant to withstand the test of time (sans road pavings), and they make claims about something which outsiders might assume many people understand, despite the fact that most people have never heard of these Toynbee Tiles as they’re known, much less understand what the hell they’re talking about. The point is that just because something is unearthed as being part of a culture, doesn’t mean that the entire culture believed it or even understood it themselves. 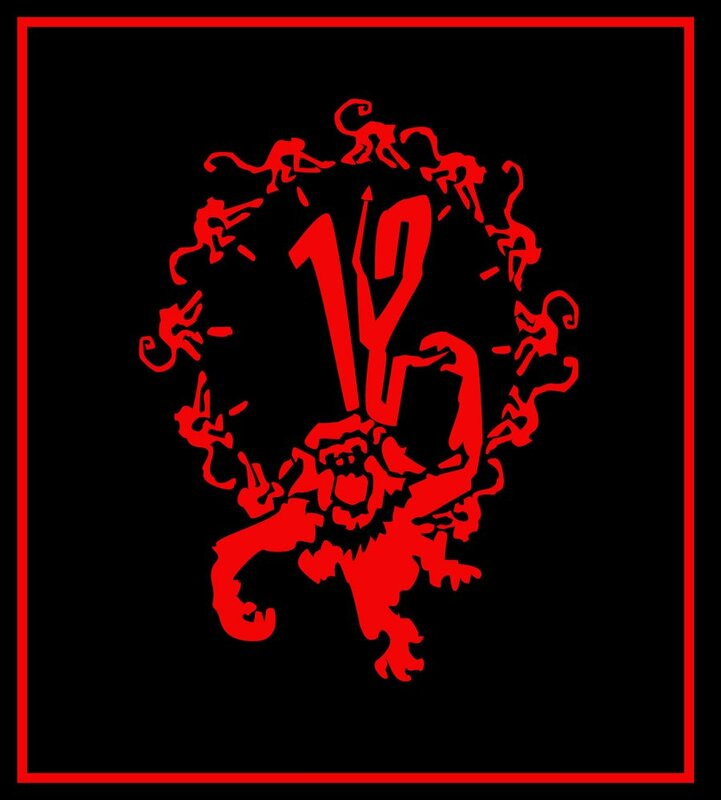 I think this was actually the theme of the film 12 Monkeys, that the strange graffiti had something to do with whatever had doomed mankind when, in reality, it hadn’t. Despite all logic insisting otherwise, my gut tells me that December 21, 2012, will one day be seen as a significant threshold to a time of tremendous growth. Perhaps that threshold will be initiated by people who, after that date, finally stop waiting for Messiahs, resurrections, raptures, apocalypses, catastrophes, or prophesies and begin to take it upon themselves to make a difference in the world. After all, if we are all one, and in a sense, all God, then God’s return simply means that we all just remember who we are. Once we do, we can make the world into whatever we wish. Hopefully by then, we will have evolved to the point where we’re not wishing for the end of the world…subconsciously or otherwise. 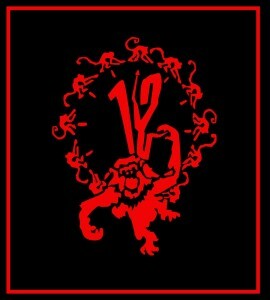 Cover image is from a shirt you can find here. I agree with most of this article. However, I do not agree with your “signs” of the changes. In fact, I believe 2013 was a year unlike any other I have experienced in America. People are waking up! You are a fan of the media. Have you missed the countless articles about polls that show the majority of Americans now do not trust the government or the mainstream media? That they consider Obama untrustworthy and that he has lied on numerous occasions? Voters abandoning BOTH parties in droves and registering as Independents? These shifts are more than partisan, they involve the majority of Americans! The new era that we have started is one of an AWAKENING! And yes, people in America and around the world are awakening and (to some extent) revolting against corruption in their governments. I am more optimistic about this planet than I have been in a long time! Oh and btw, are you aware that “Sandy Hook” is on the map in that Batman movie as one of the potential targets for something nefarious to happen? You can Google it and see a screen shot. I have seen it, and purposely watched the movie to make sure it wasn’t just PhotoShop. Nope, in fact it IS in the movie which was produced before the Sandy Hook/Newtown shooting. Wow, thanks for the info about Sandy Hook in the Dark Knight film! I found a link here (http://www.youtube.com/watch?v=vQrGcLb0W6w) which also shows that a bright Aurora sign appears in the film as well! Just further evidence of the connections I bring up in this article. I was a little unclear what you didn’t agree with regarding my “signs” of changes since you pointed out the Dark Knight sign to me. Like you, I also concluded that we ARE on the verge of major changes and that’s what the signs were pointing towards. For me, a more spiritual world is one where government is not needed since we all realize we are one and that doing something negative to someone else hurts us as well. As far as me being a fan of the media–only mythological media. I do not watch the news. Having worked in news for four years, I realize it is all brain-washing propaganda. So no, I’m not aware of these polls, but don’t really need to see a poll to know that people are growing frustrated with the government. Of course Obama has lied. It is a requirement of our political and governmental system. That’s one of its many problems. Even if an “independent” candidate were to win, it would be unlikely to change anything. The news media and rantings on the Internet provide an illusion of change where people can have a space to vent without actually causing any real change. It’s a vent that enables steam to be let out without society boiling over. This is why you don’t see the kind of revolts and action that you saw in the 1960s. It reminds me of the story of the king whose kingdom was always fighting amongst itself. Half agreed with any policy he decreed and half didn’t. So he set up an election for the kingdom to vote for one of two candidates they’d like to see in power. Half of the kingdom was disappointed in the winner, but simply complained about it while the winner was in office, gathering support to then vote for their candidate when he would run 4 years later. At which point, the opposite would occur. Little did the kingdom know that the king was still making all the choices and just making it seem like it was the people’s choices, giving them someone else to focus their frustrations on. That being said, I’m still hopeful that we really are waking up and that changes will occur towards a more peaceful, united, and fair kingdom. I just don’t think its likely to happen without some major world changes (positive or negative) that will force to bring us together.